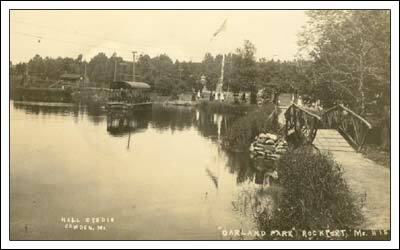 Oakland Park was developed in the 19th century by railroad and transportation interests, to serve as a destination and resort. 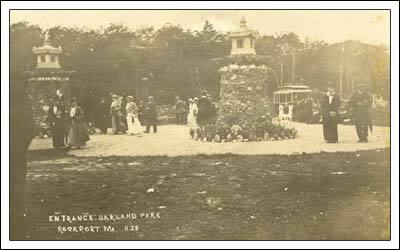 With its pavilion and ornamental pond, and the ease of access via streetcars, it was considered a popular venue for public festivities and concerts. It was served directly by a stop on the streetcar line between Camden and Warren, which also had a branch line to Crescent Beach in Owls Head.